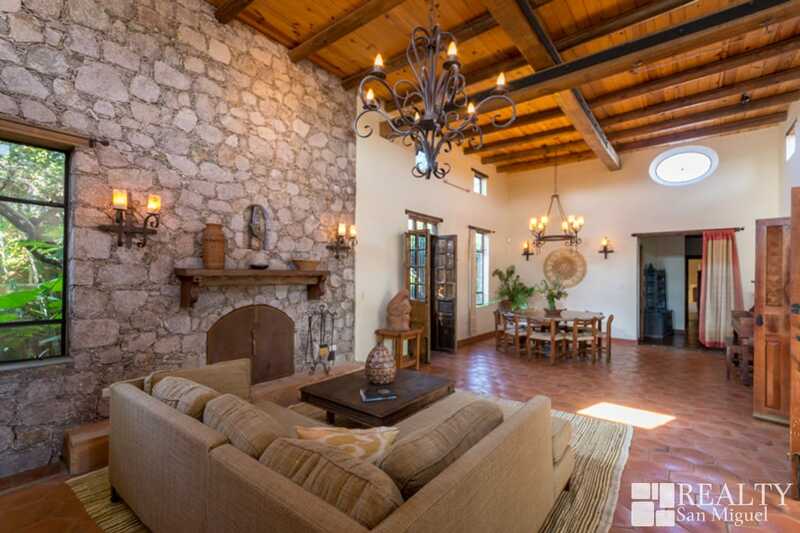 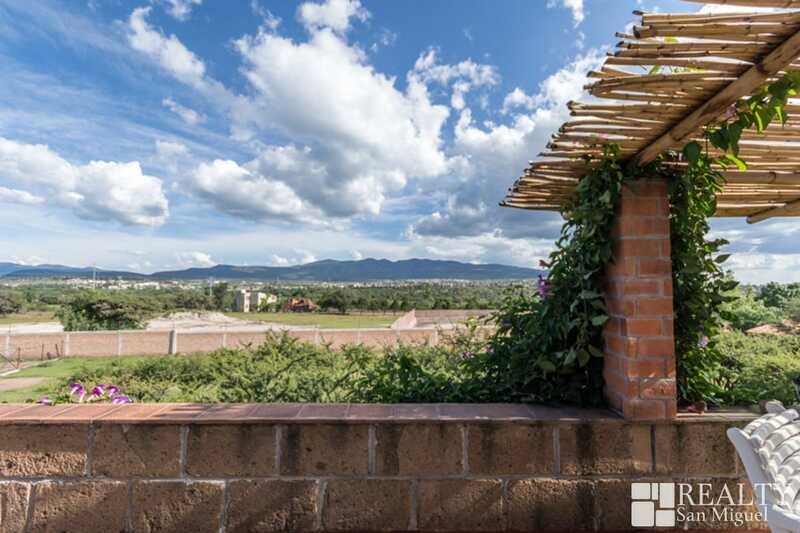 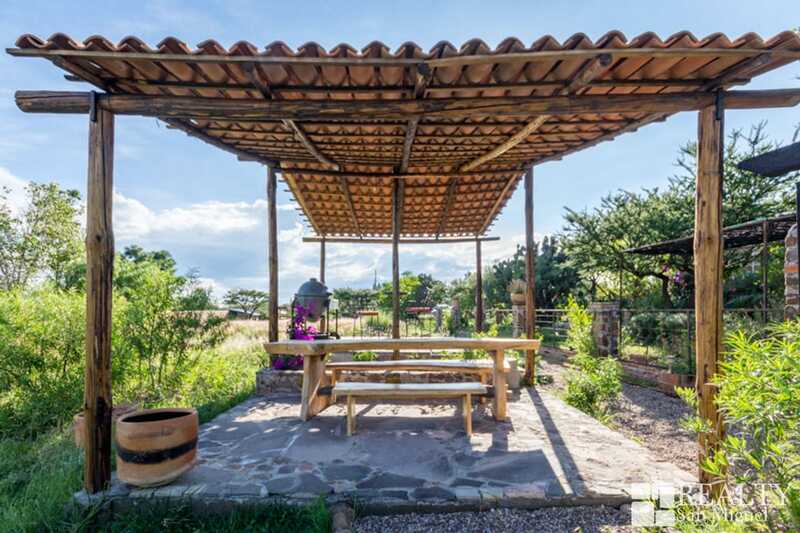 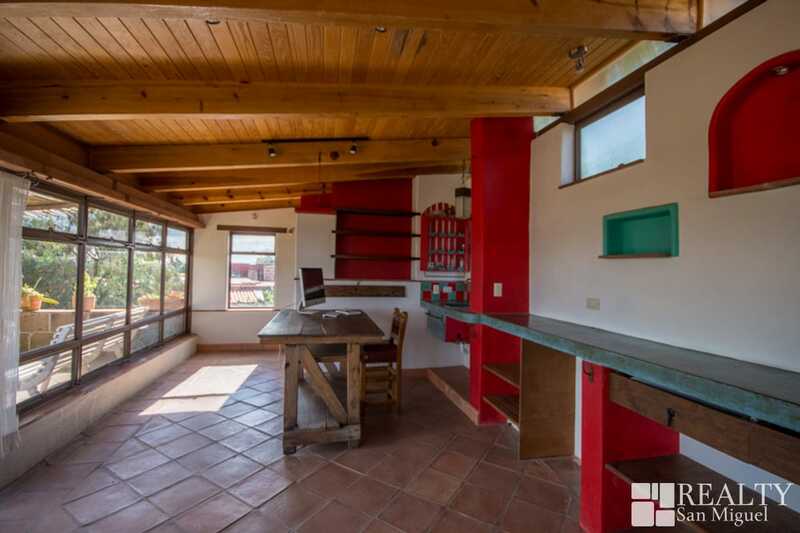 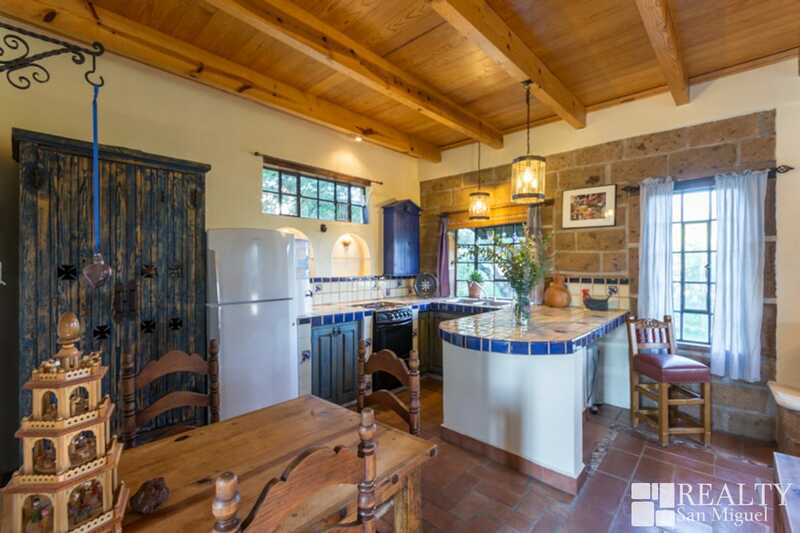 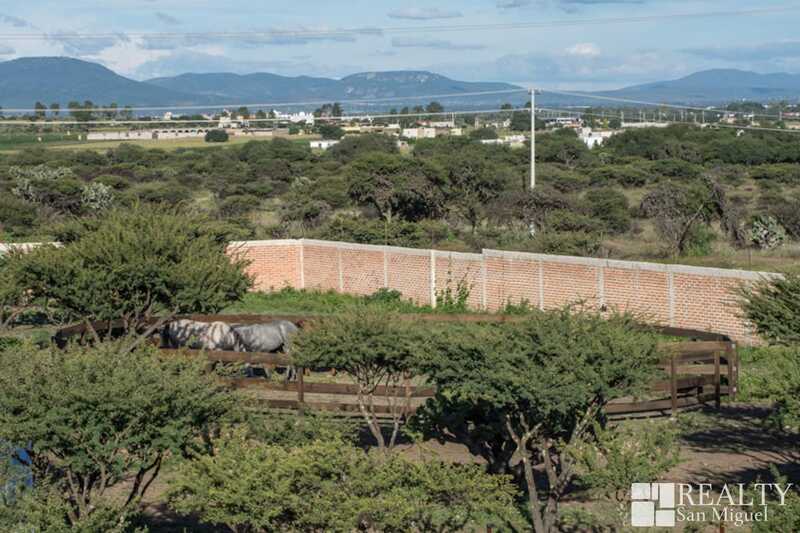 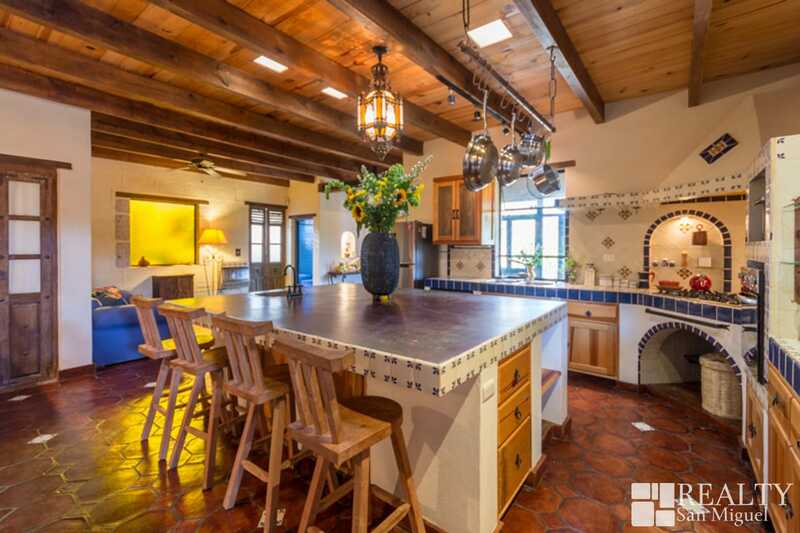 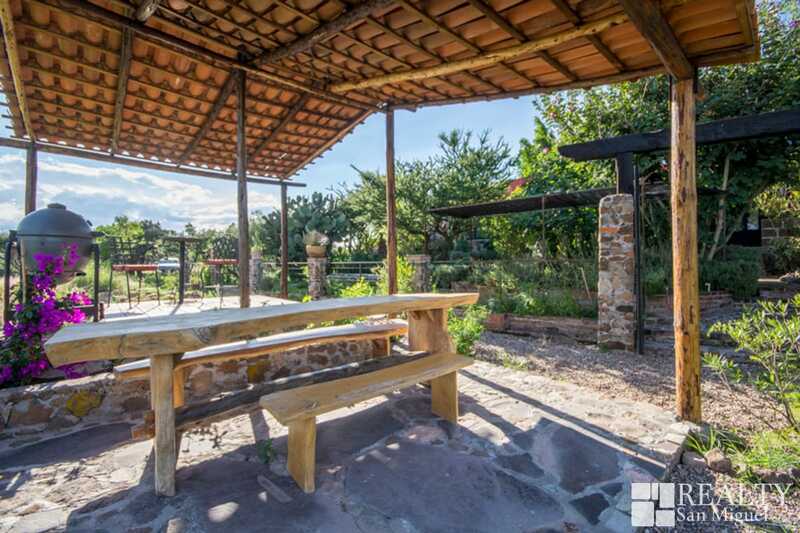 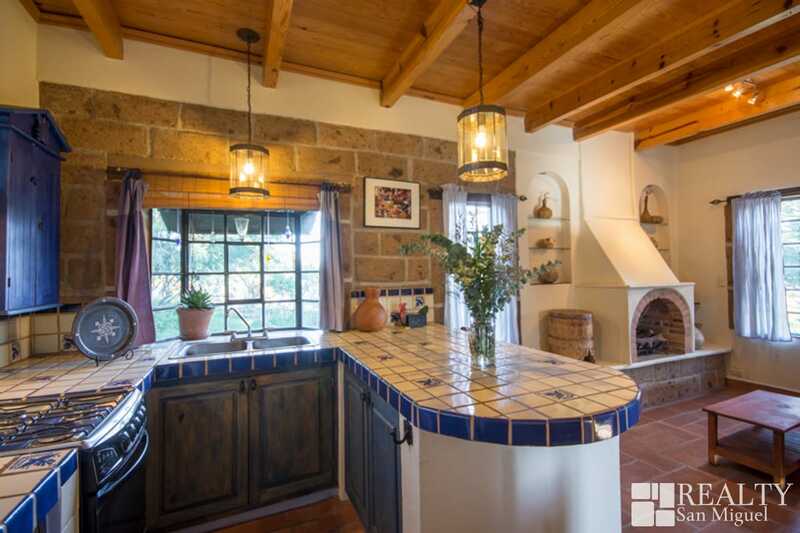 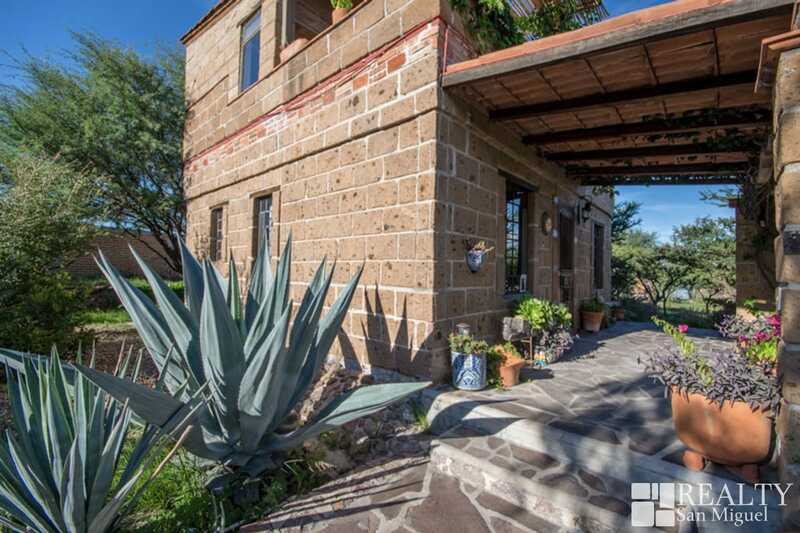 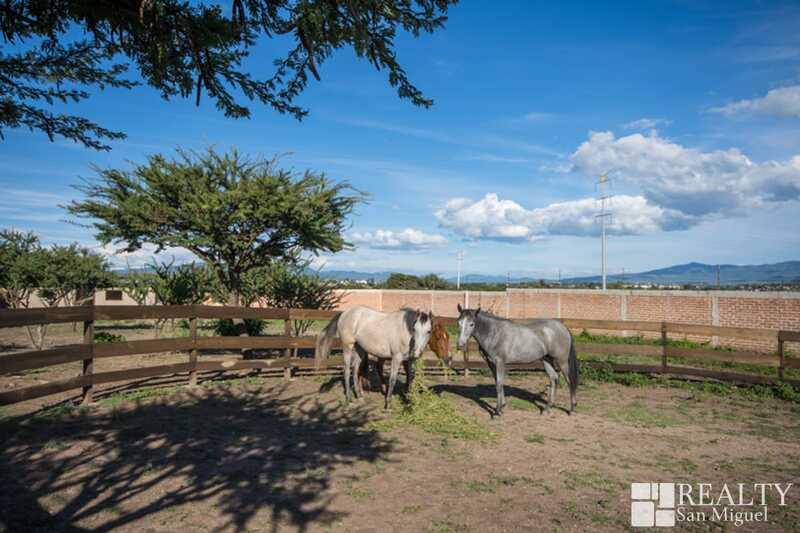 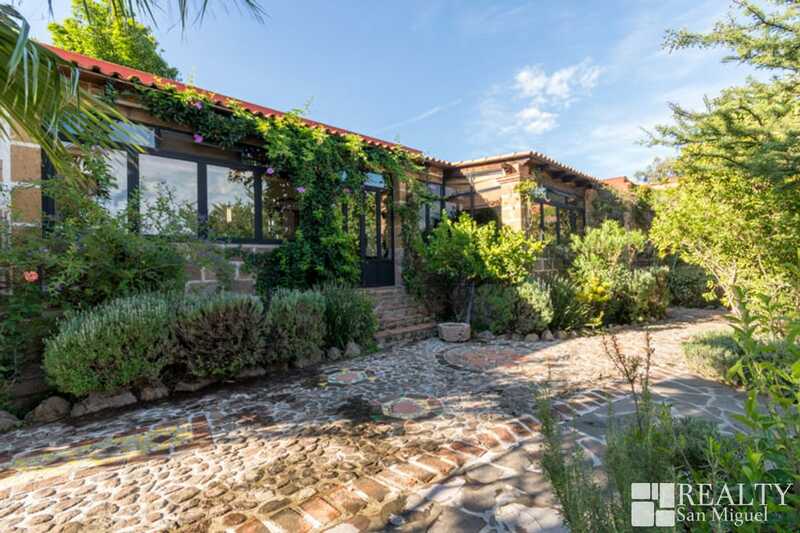 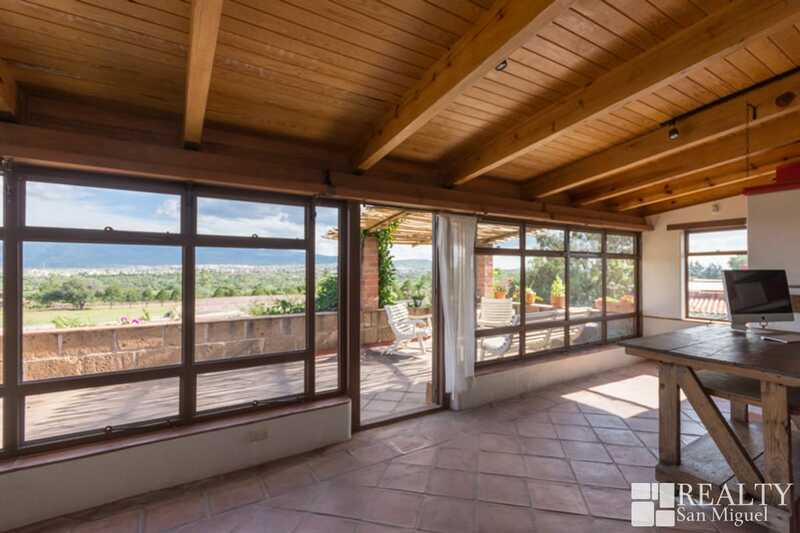 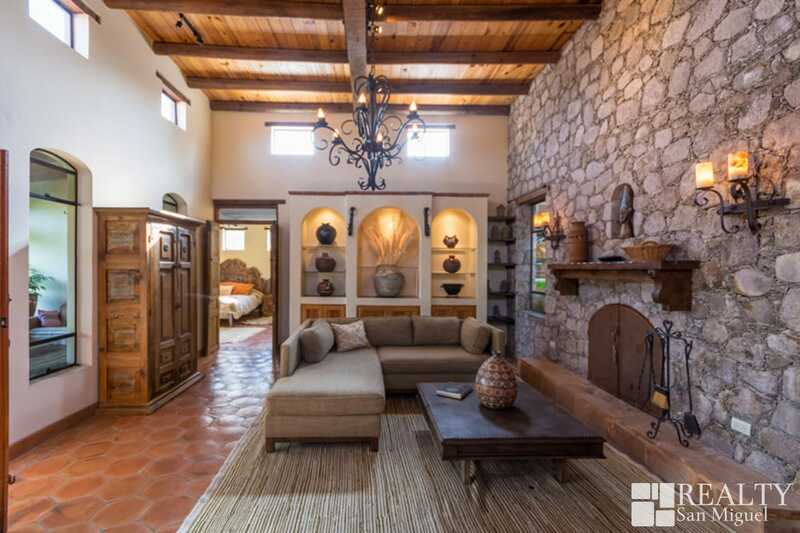 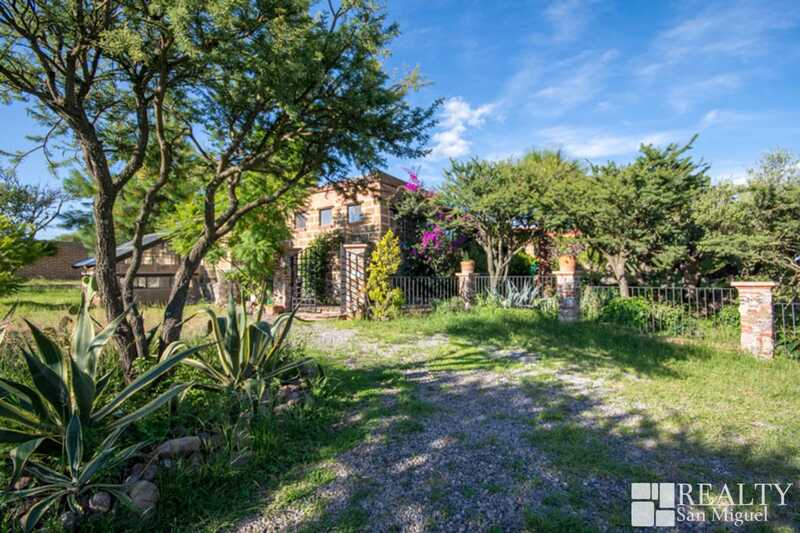 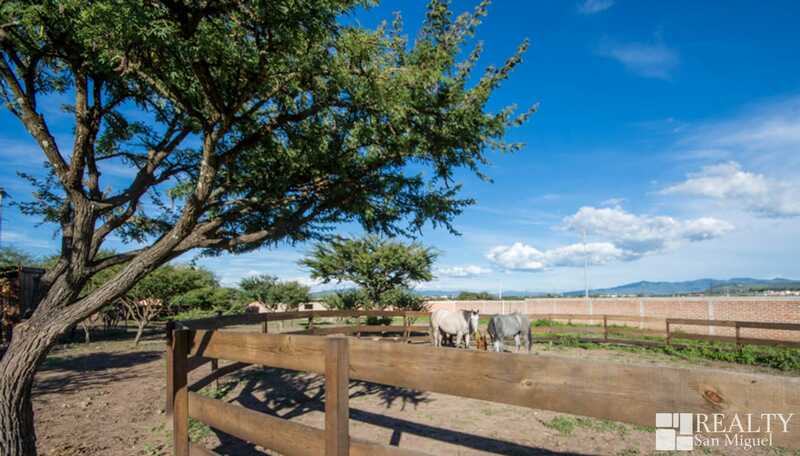 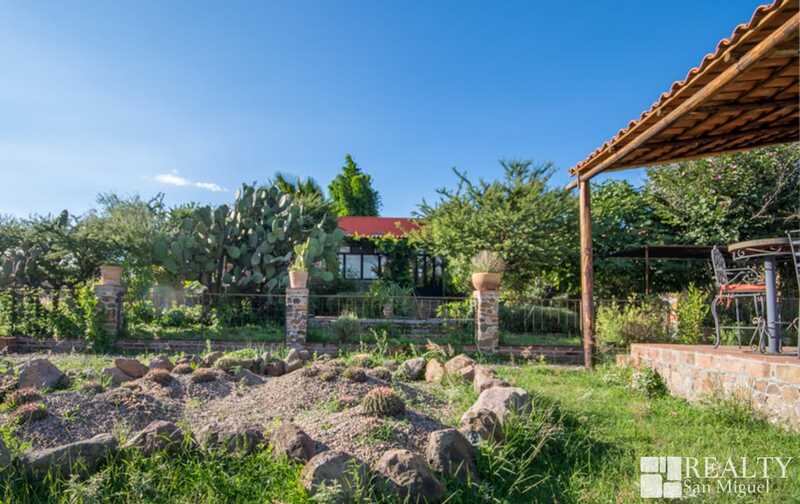 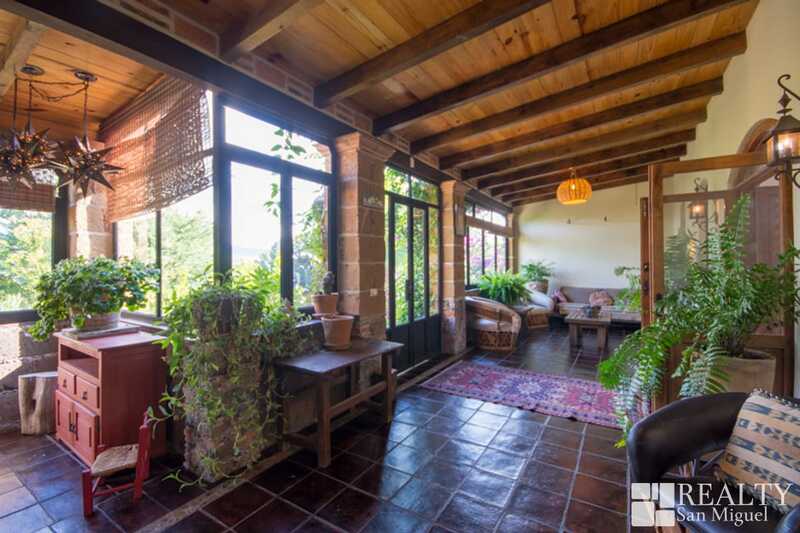 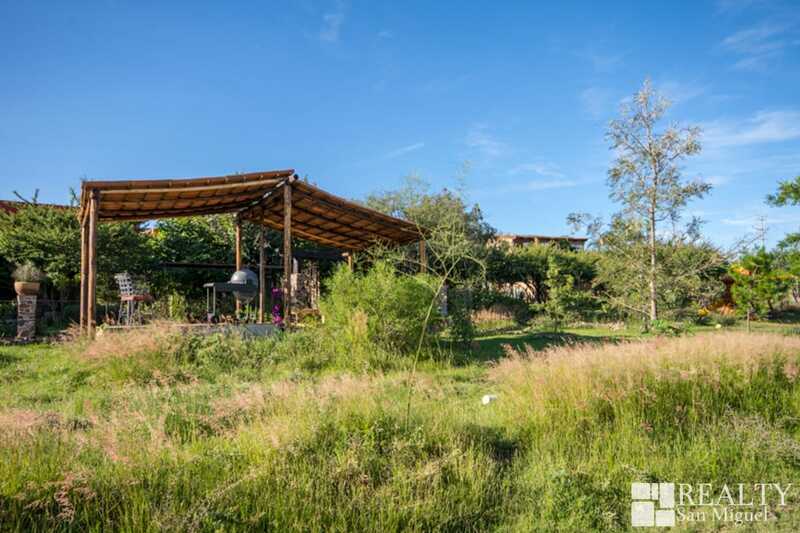 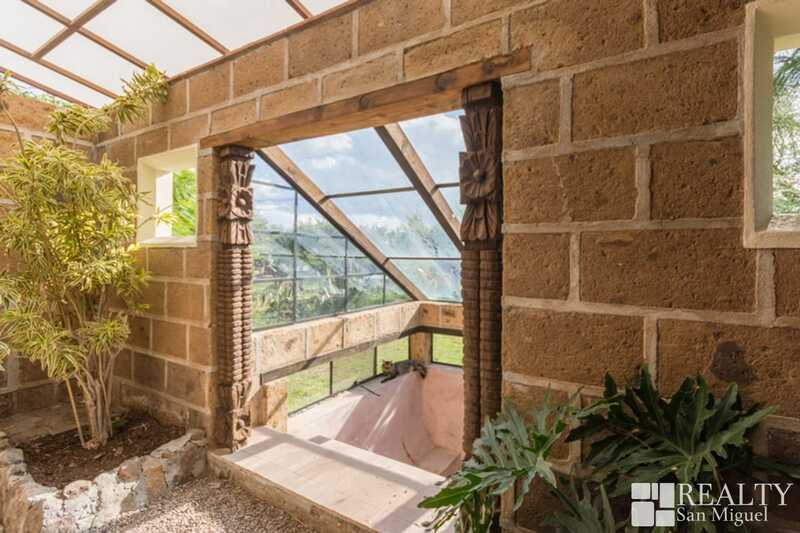 This ranch in San Jose de la Amistad is within the buffer zone of San Miguel de Allende’s renowned botanical gardens, this unique property offers ecological innovation, detailed craftsmanship and style amidst a completely unspoiled natural setting. 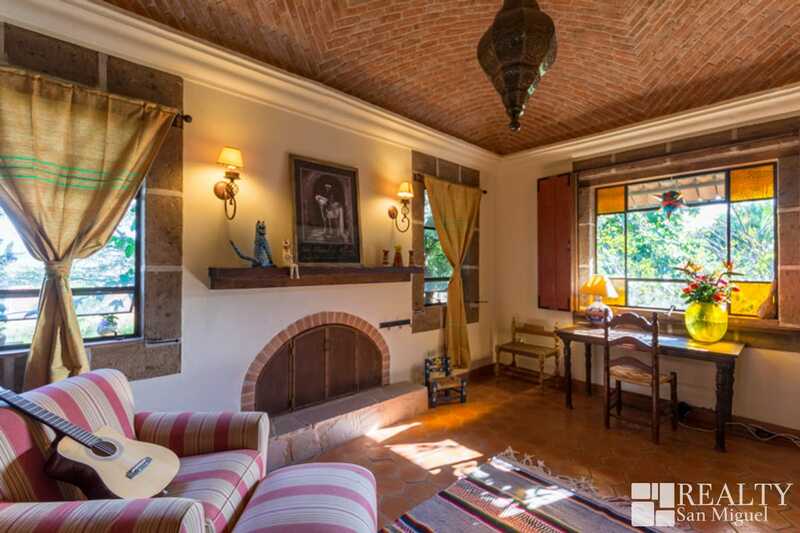 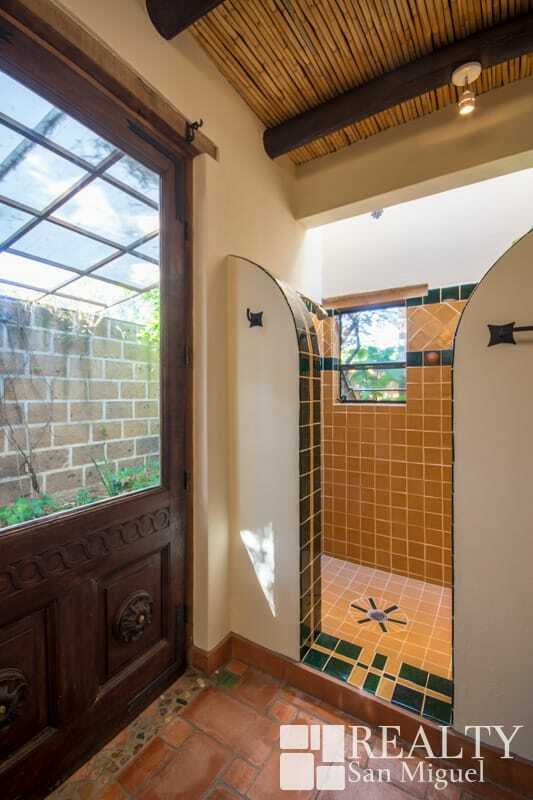 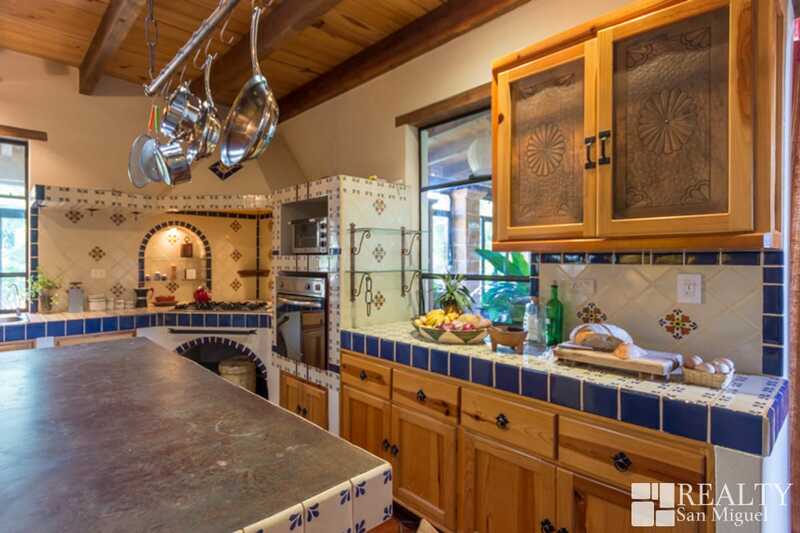 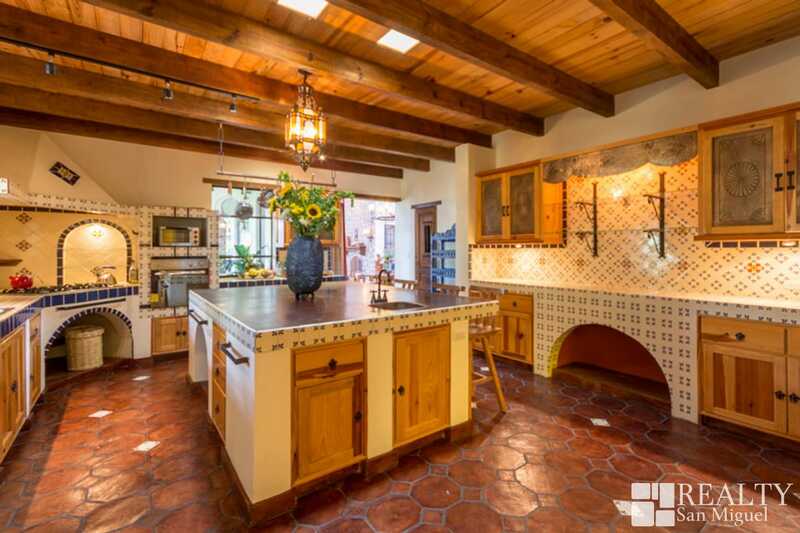 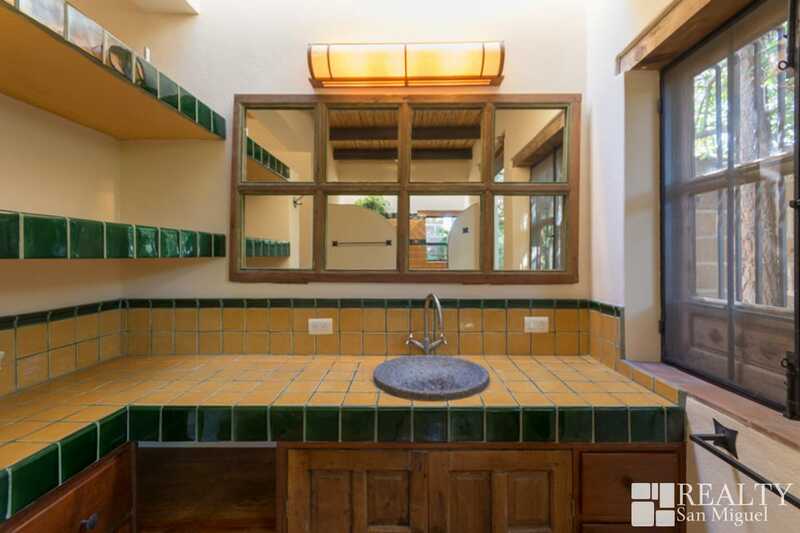 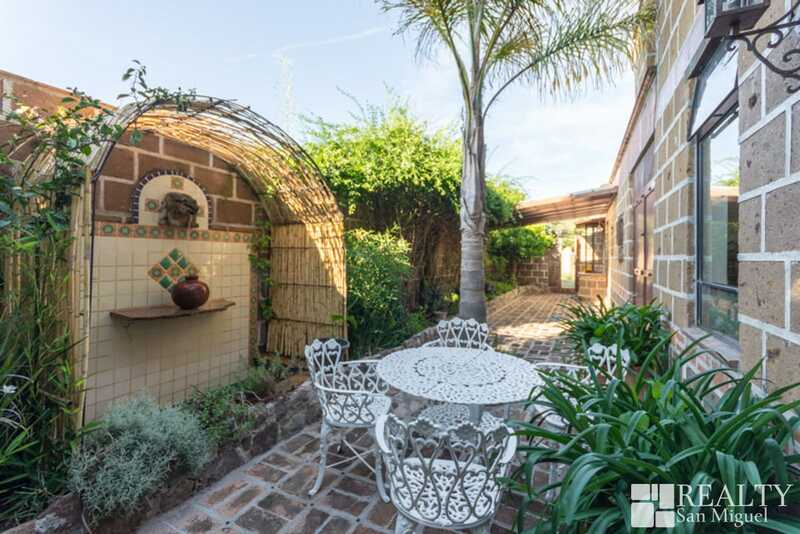 This property is ideal for anyone seeking classic Mexican authenticity with its artisanal, antique and custom finishings throughout and surrounded by abundant mature gardens. 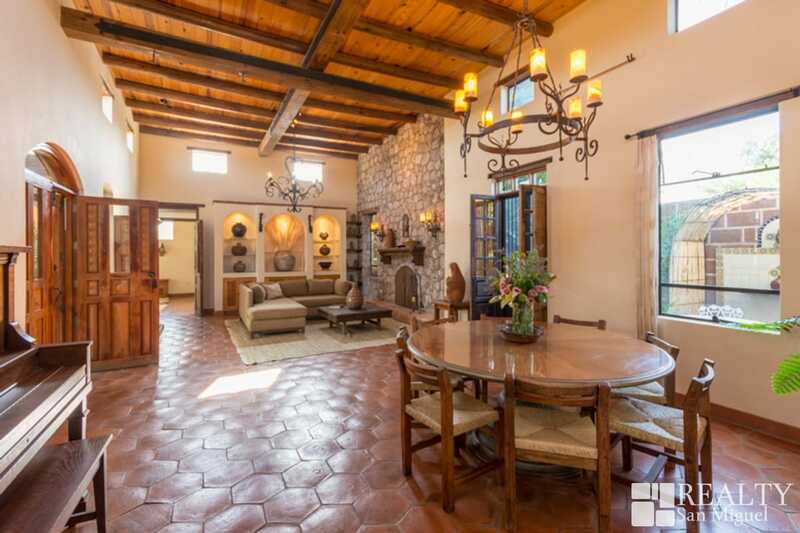 The main 3BD/3BA residence features a chef’s kitchen, ensuite baths, large glass sun porch, fabulous light and a great room with impressive rock chimney and lofted ceiling. 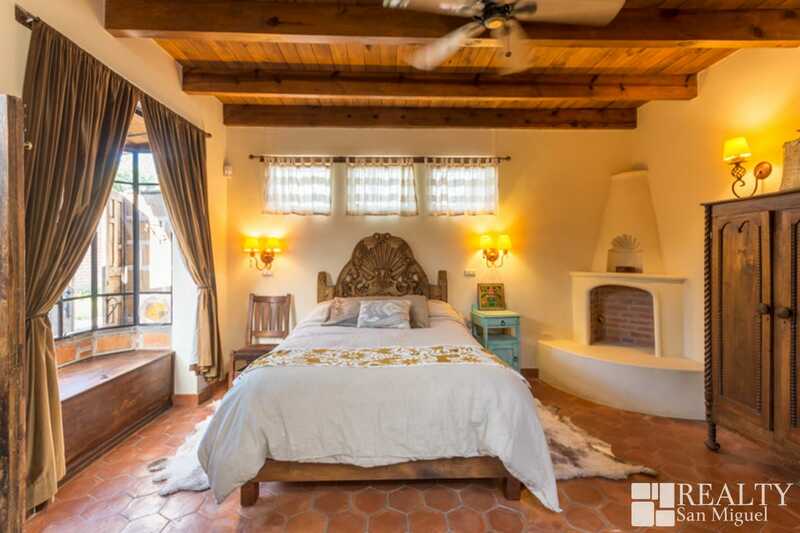 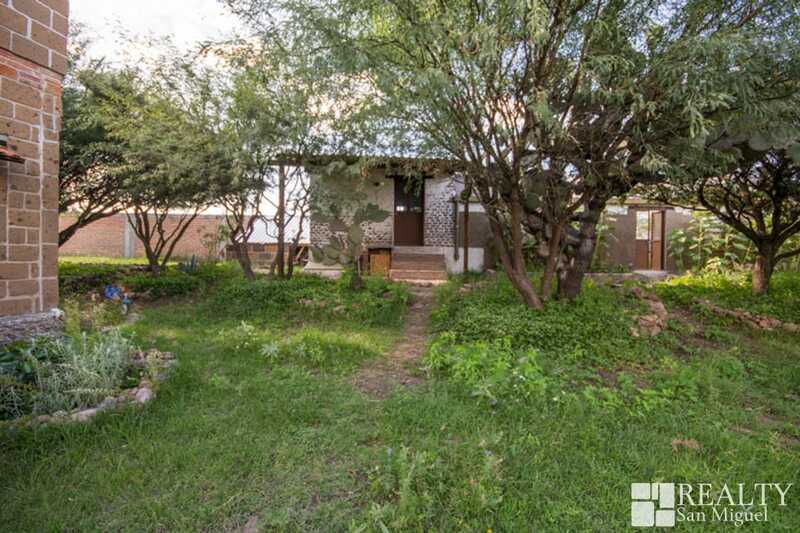 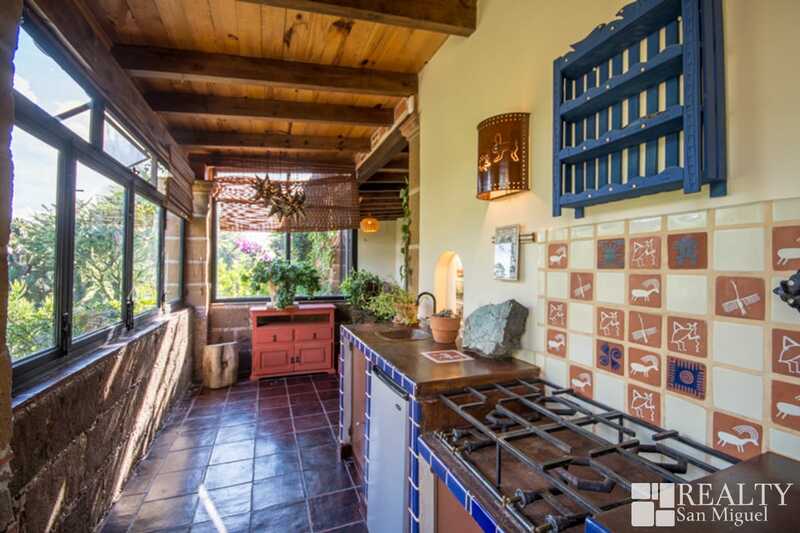 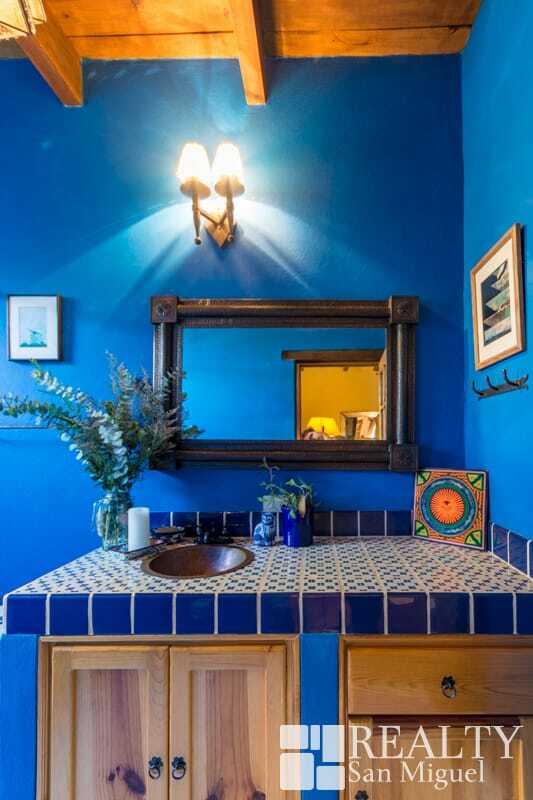 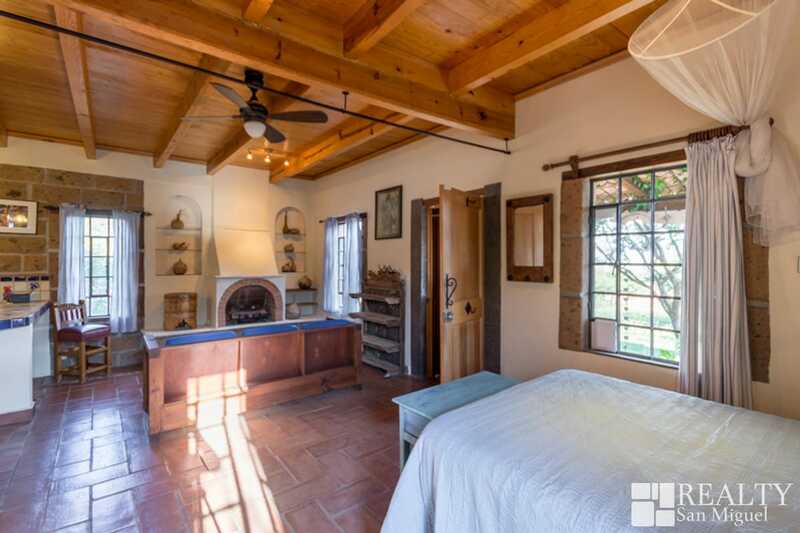 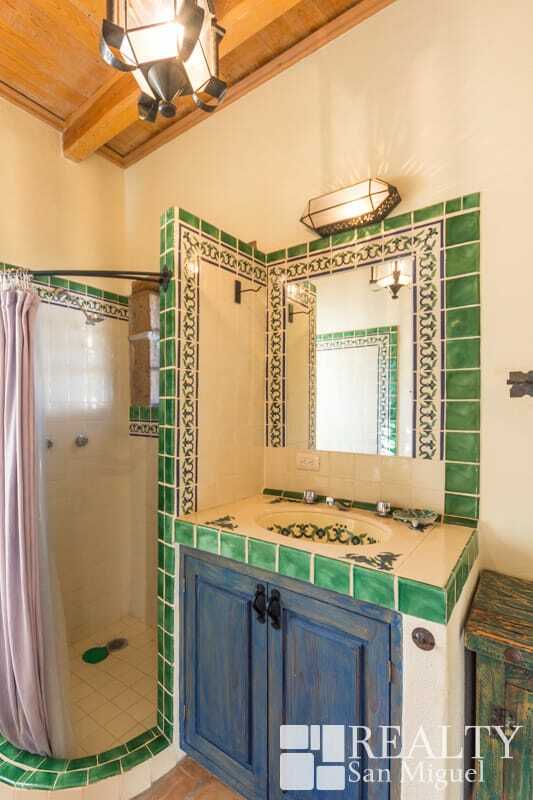 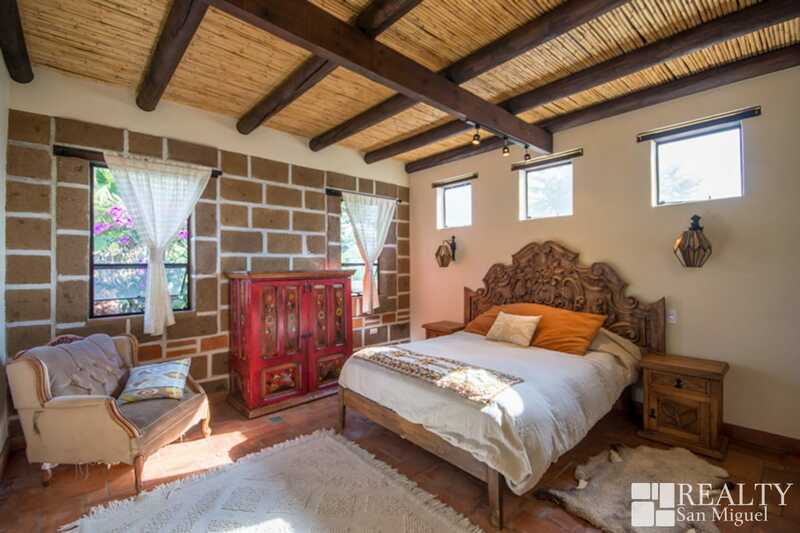 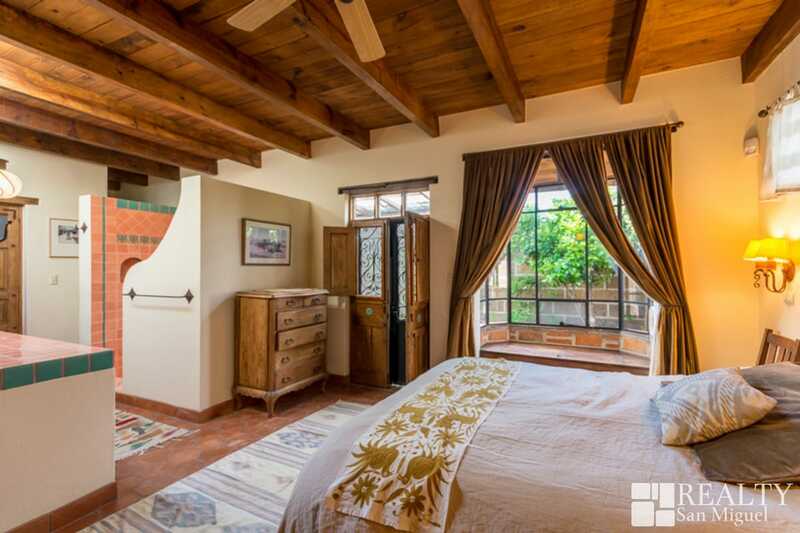 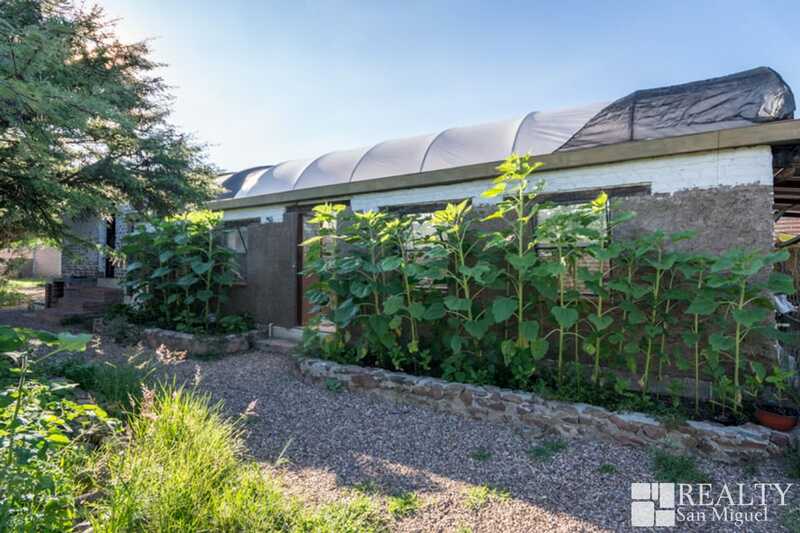 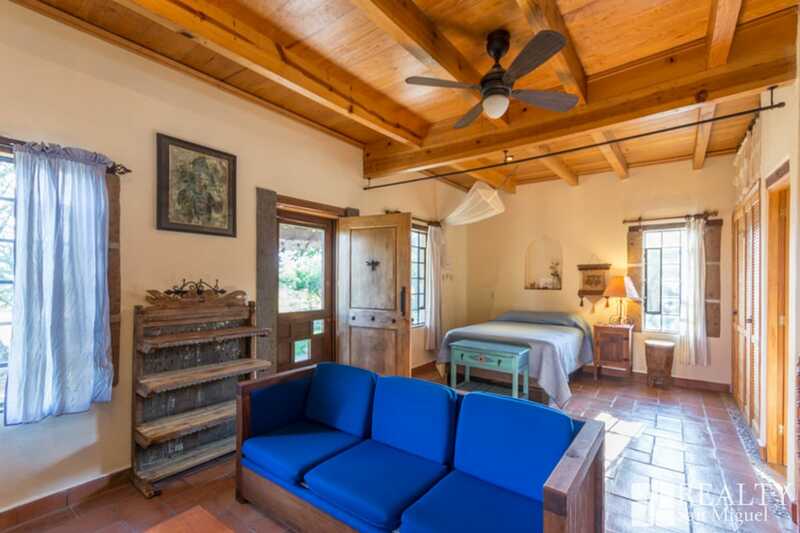 The second residence is a one bedroom, one bath casita with adjoining artist studio. 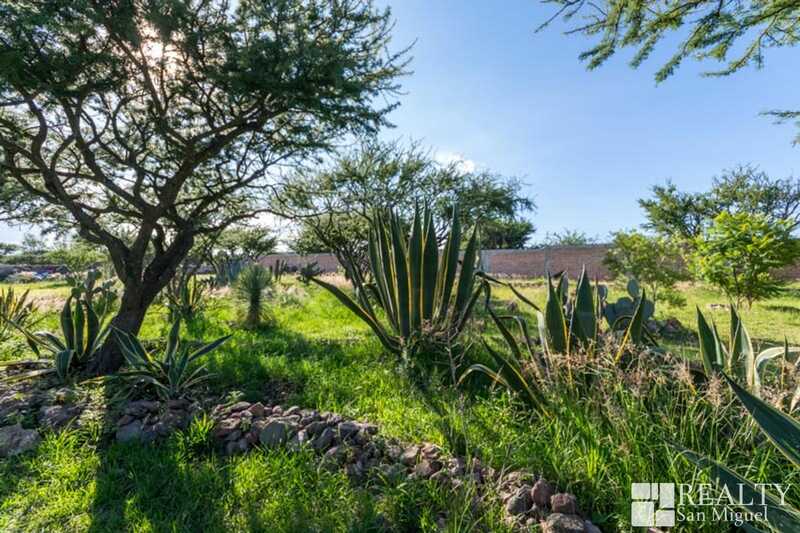 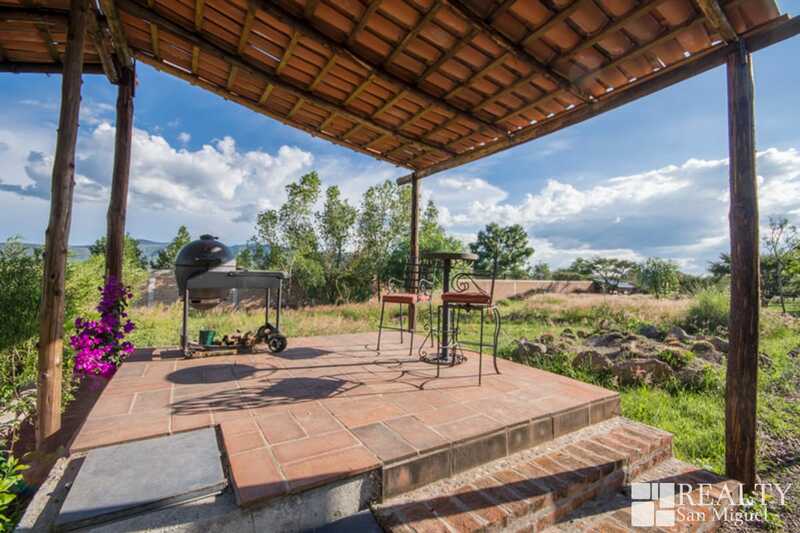 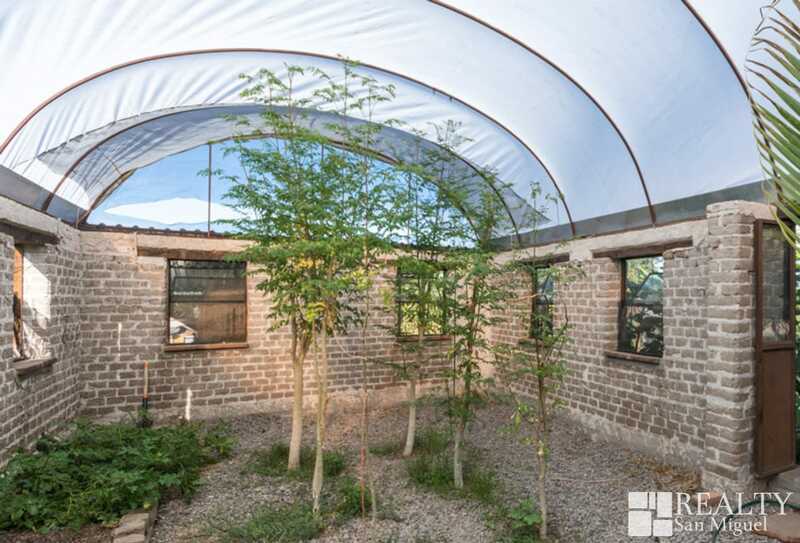 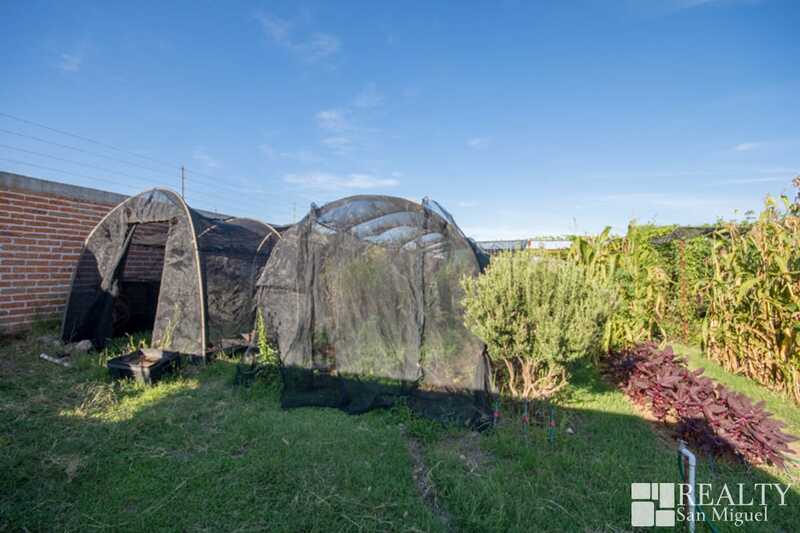 This 2.5 acre property takes advantage of a fantastic southern exposure with fruit trees, large market garden (currently cultivated), adobe greenhouse, rain catchment and grey water cisterns, automatic irrigation systems along with fencing and stables for animal husbandry. 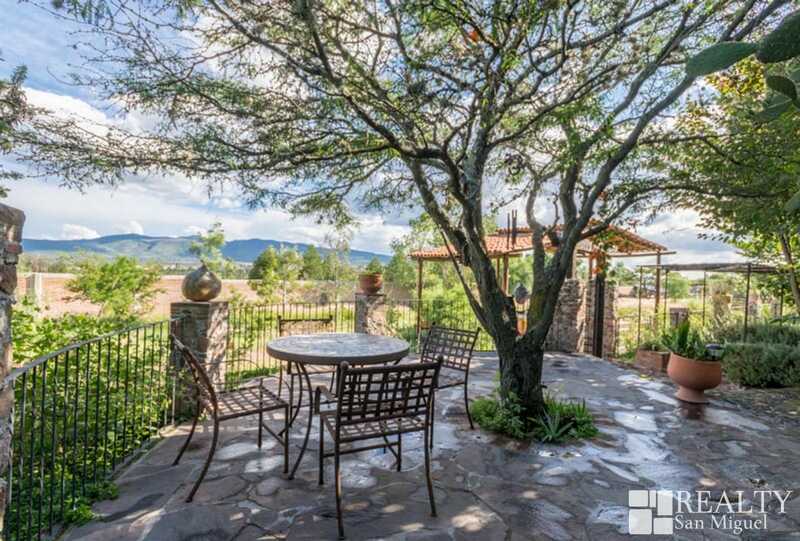 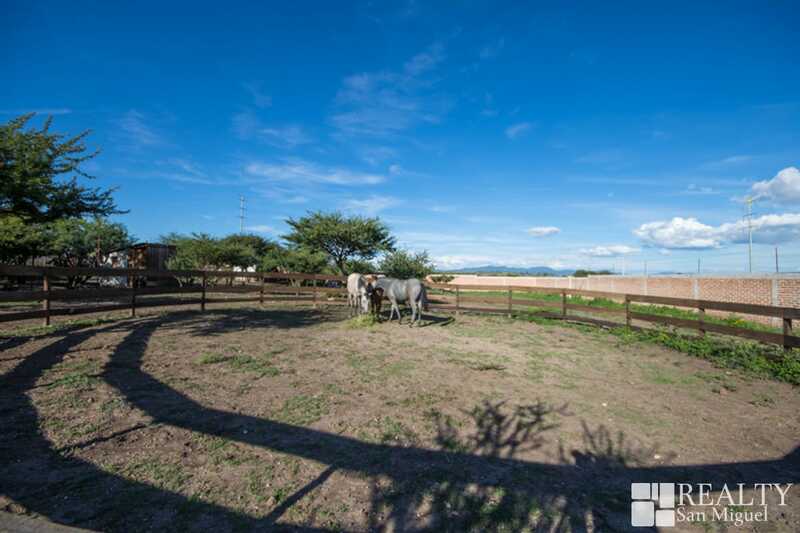 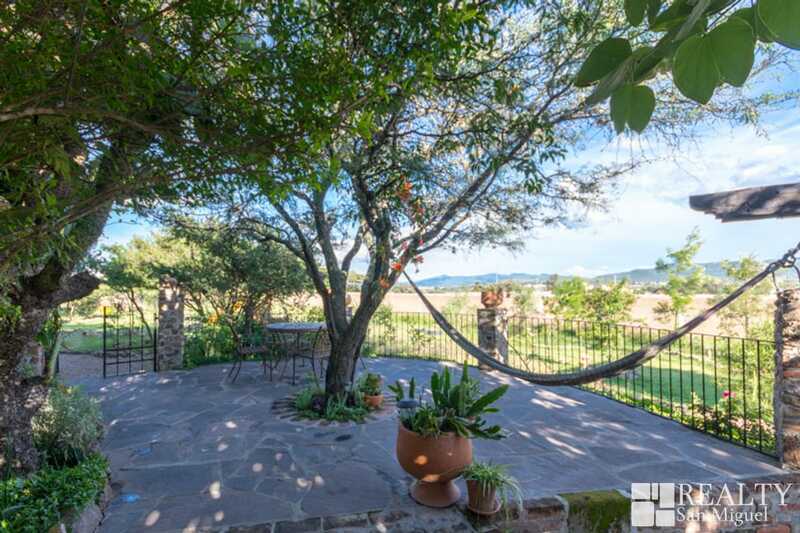 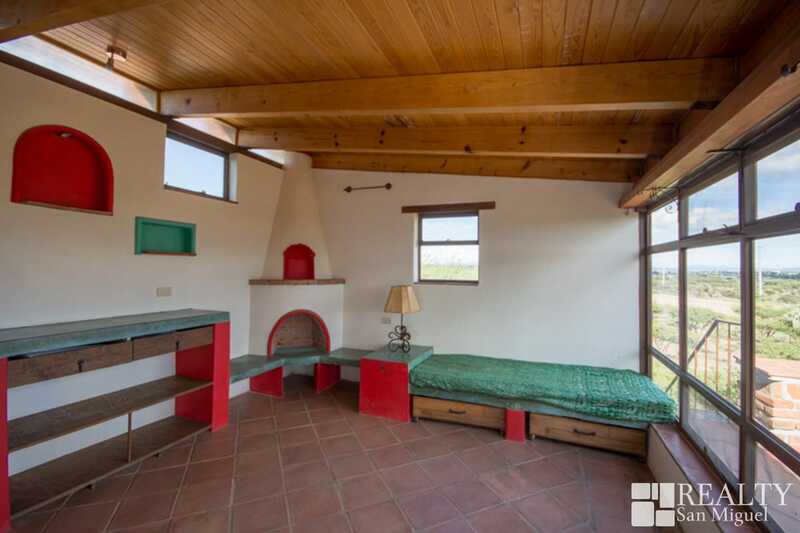 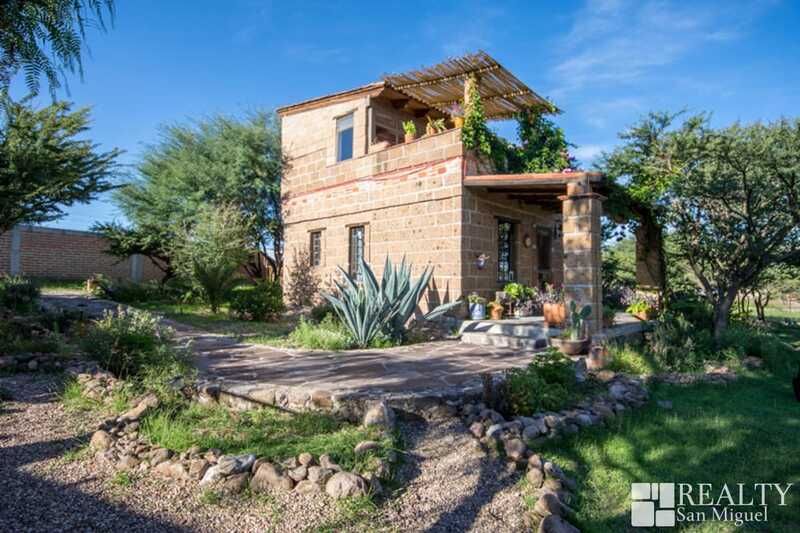 This property emanantes peacefulness and has superb views as it sits squarely in front of the Picacho mountains. 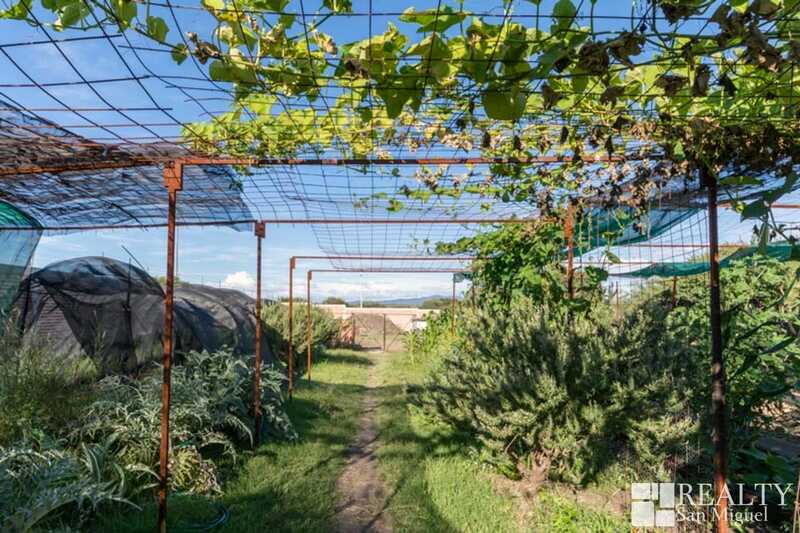 There is a potential income source if the property was partially or fully rented for events or a farm to table rural tourism venture. 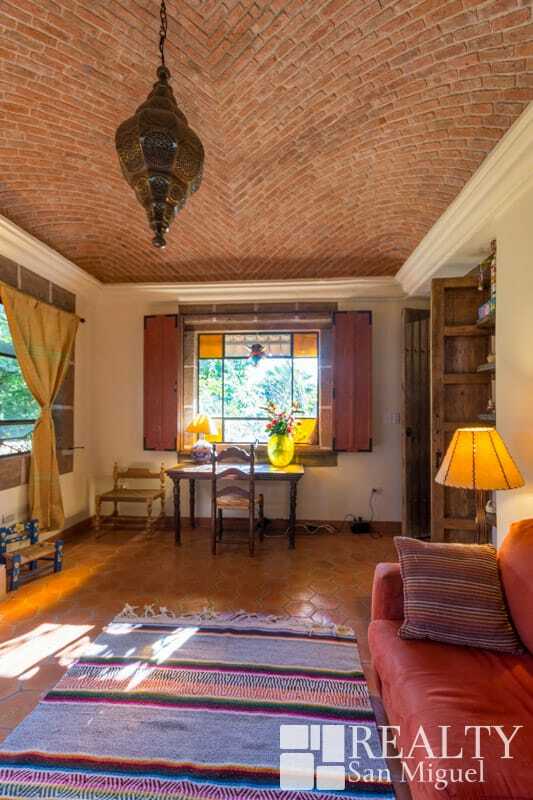 In addition, the sale is currently being offered with an option to buy it fully furnished. 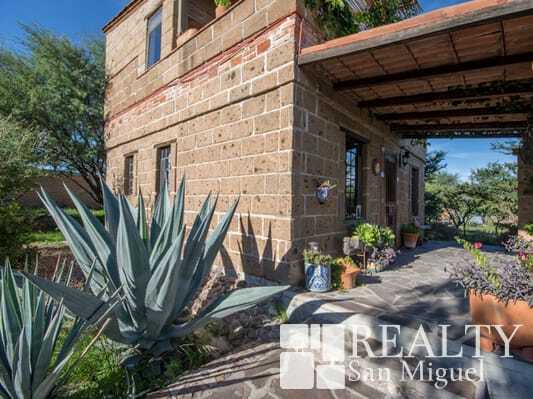 This countryside retreat is truly one of a kind, providing the best of both worlds: live your dreams surrounded by nature, while enjoying San Miguel de Allende’s world-renowned cultural atmosphere just a 15 minute drive away from San Miguel.